3 storey tower-house in sandstone on an L-plan. The walls of the castle are some 4ft thick. The angle-turrets feature shot holes and cannon spouts and are constructed from ashlar. Both are bordered by stone basins at the foot to collect rainwater. 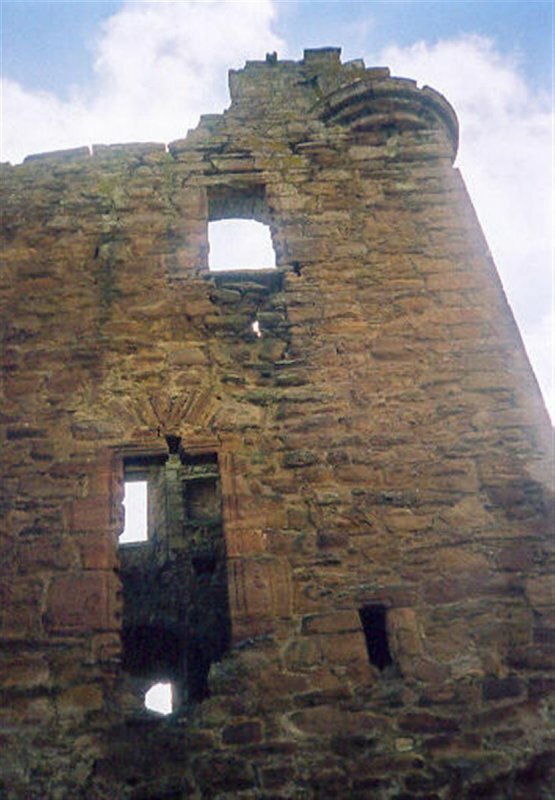 The north east tower contains a private stair leading to the upper floors, whilst the main stair rises to the second floor before being superseded by a turnpike stair. 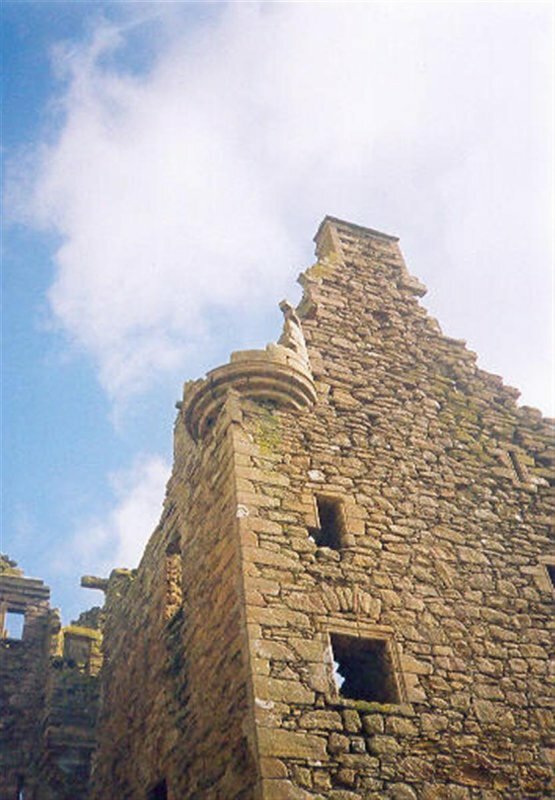 The square stair tower is topped with 3-tiered corbelling, a watch-room and an unusual square oriel window projected on machicolated corbels with shot holes to either side. The ground floor interior was originally vaulted and contained the kitchen and cellars. 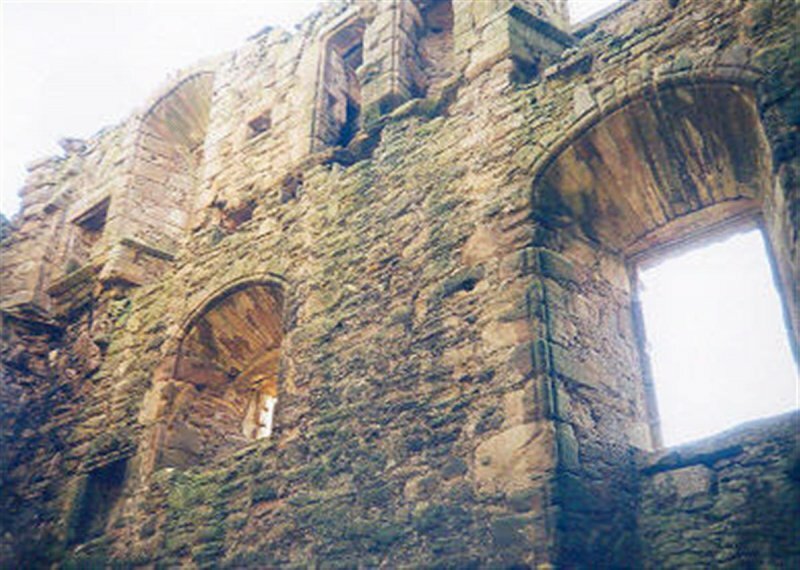 A great hall measuring 36x19ft was situated on the first floor, with windows on 4 sides, stone seats and wall closets. 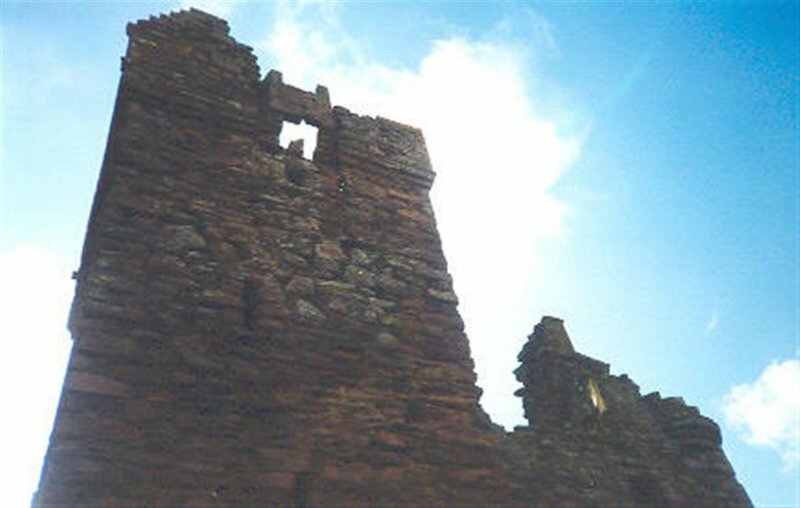 1991: Davis, in the Castles and Mansions of Ayrshire, describes the walls as in extremely poor condition and fears a major collapse may be imminent. 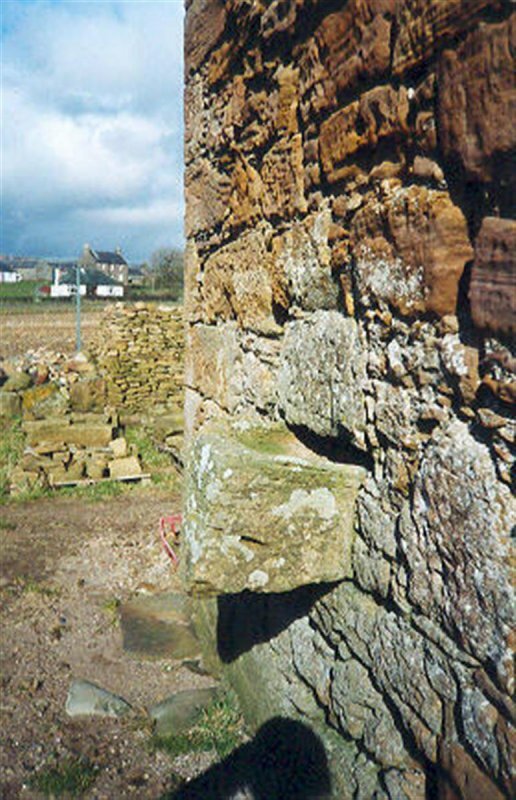 April 1994: External inspection reveals a precarious ruin, although largely complete to the wallheads. September 1995: SCT receives information that interest has been shown by a potential restorer who has prepared a feasibility study. 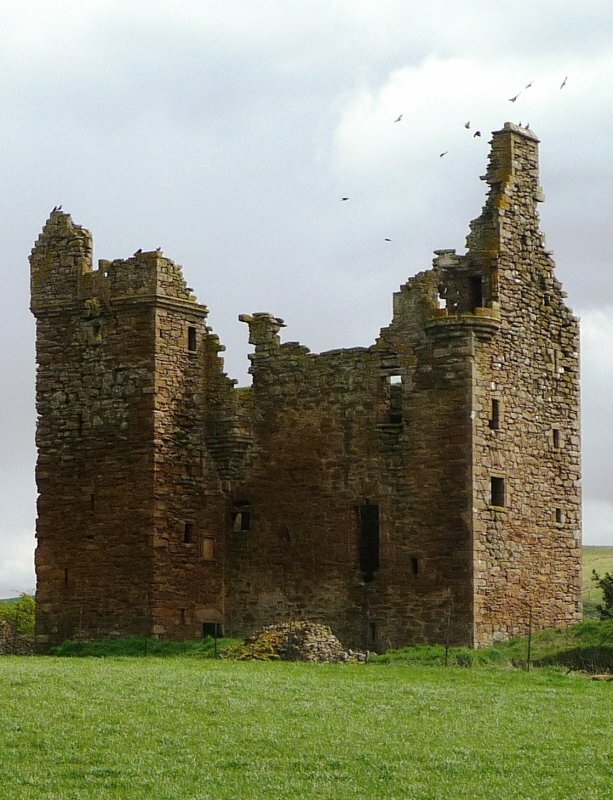 1996: The building is sold, and the purchaser establishes Lichtsome Hoose Ltd to manage the restoration of Baltersan. March 1996: Planning and funding applications are submitted. The Architectural Heritage Society of Scotland and SCT both welcome the application. 11 December 1996: The Carrick Herald reports that permission has been unanimously granted to convert Baltersan into a luxury guest house comprising of a grand hall, a dining room, and accomodation on 5 floors, despite objections from the West of Scotland Archaeology Service. February 1997: The development is referred to Historic Scotland. 13 March 1998: The Ayrshire Post reports that the project is to be delayed due to the non-availability of funds from Historic Scotland, which has agreed to fund a third of the project after the year 2000. 20 September 1998: The Sunday Mail reports on the escalating costs of the project. 7 July 1999: The Carrick Gazette carries an interview with the owner, in which he discusses his plans to turn the castle into a holiday home for executives, at an estimated cost of £1 million. He is reported to have purchased the building 18 months previously, after the last owner entered bankrupcy. He is soon to start selling the titles of Keeper of the Keys of Baltersan, on an escalating scale, which will permit holders to stay at the castle once restoration is complete. 50 keys will be issued. The owner is also issuing regular newsletters on the progress of the project, to which interested parties can subscribe. It is reported that the Japanese pen manufacturer Kuretake (for whom the owner works on a freelance basis) is backing the project with 30% equity. Enterprise Ayrshire has also agreed to provide grant aid over 2 years. October 2000: External inspection shows no change to have occurred. December 2001: SCT receives information from the owner that he is continuing with plans to restore. Né Begg Architects, Edinburgh have been charged with the restoration. The owner has intimated that a joint venture with a suitably interested third party may be considered. 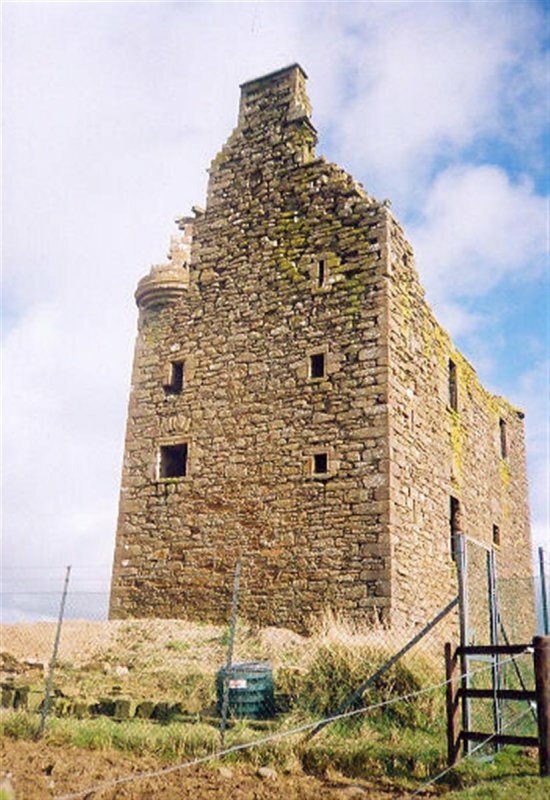 February 2002: Planning Permission and Listed Building Consent applications are lodged for the restoration of Baltersan. SCT is broadly supportive of the applications. April 2002: SCT receives information that the local authority may be moving against the granting of permission. 11 October 2002: The Ayrshire Post reports that the owner has won consent to restore Baltersan, despite Scottish Executive road officials objecting, claiming it would compromise traffic movement on the adjoining A77. 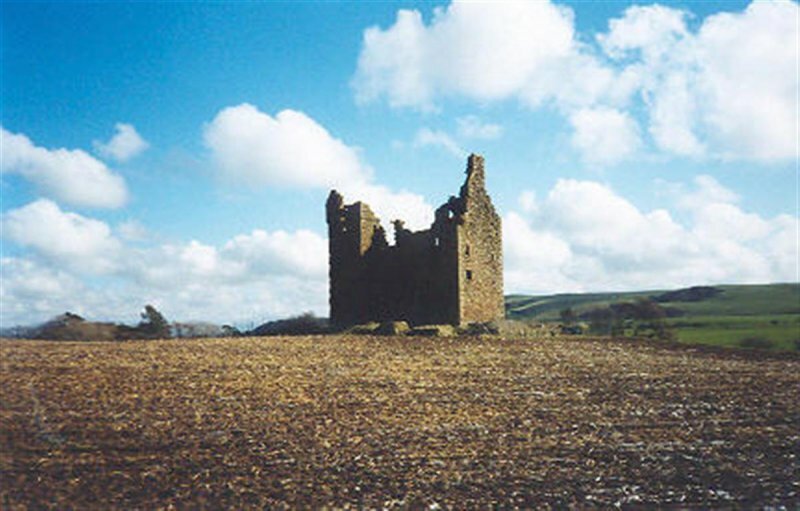 January 2003: SCT receives information from the owner that he is seeking to complete his business plan at the end of February, at which point he will pursue investor funding and grant aid from Historic Scotland. 11 July 2003: The Ayrshire Post reports that the restoration of Baltersan has attracted £300,000 in grant aid from Historic Scotland. 27 February 2004: The Herald carries an interview with the owner. 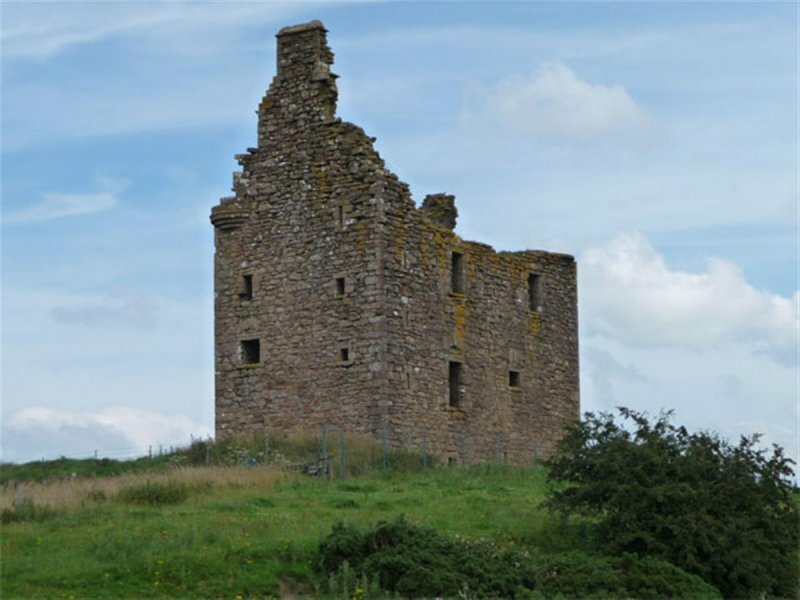 12 August 2004: The Carrick Gazette reports that restoration plans could be in jeopardy, unless the owner is able to purchase a plot of land adjacent to the castle from the Culzean and Cassillis Estate. 28 January 2005: The Ayrshire Post reports that the owner has taken part in the BBC's Dragon's Den programme in an effort to secure investment in the project. 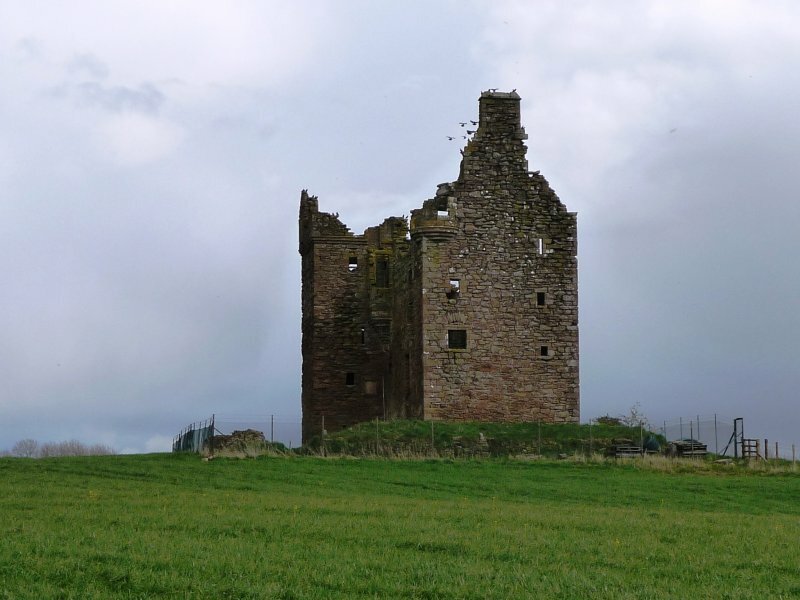 May 2006: the owner of Baltersan reports that negotiations have reopened with the Trustees of Culzean and Cassillis Estates to aquire additional land around the estate. October 2007: SCT is contacted by the owner who advises that negociations to acquire four acres surrounding the castle are progressing. Owner address also updated. 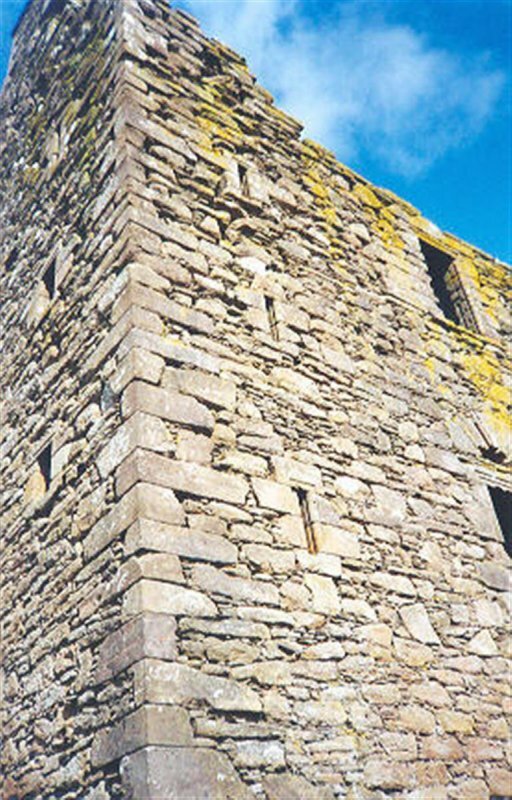 October 2007: SCT is advised that an application for "consolidation of existing ruinous structure and rebuilding of tower house to form timeshare residential tower house" has been submitted. 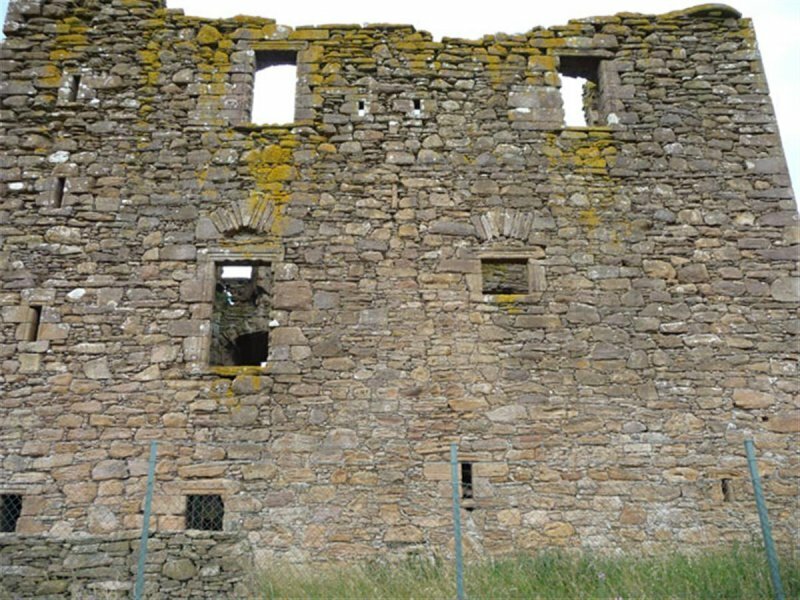 January 2008: Historic Scotland offer a grant of £492,406 towards the repair of the Castle which is hoped to be reused as a private residence club, regenerating the surrounding area and its tourist market. February 2008: The castle is now up for sale and being marketed through Strutt and Parker estate agents. March 2008: Baltersan now for sale through Strutt & Parker, Glasgow. 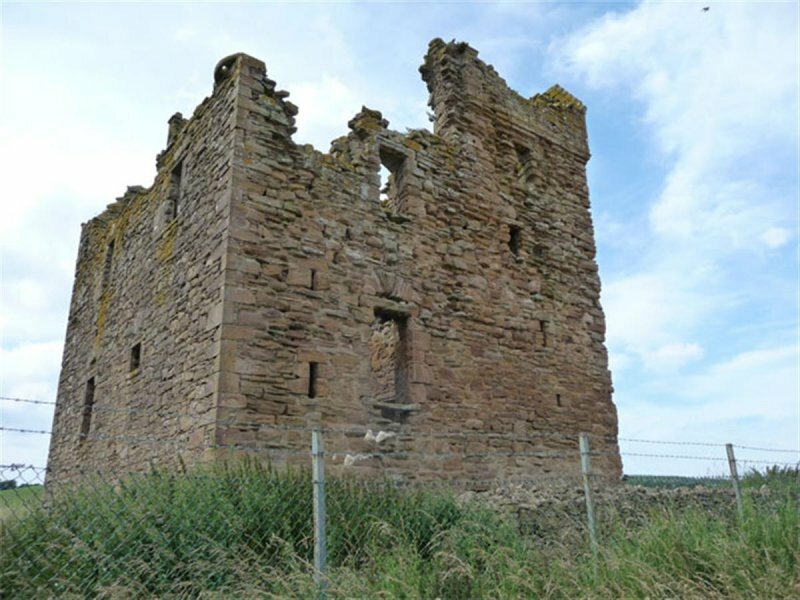 The current owner reports he hopes to find a purchaser who will complete the reconstruction project as approved by South Ayrshire Council and Historic Scotland. July 2008: External inspection reveals that the building is ruinous. However, the condition does not appear to have deteriorated significantly since last visit by SCT. Security fencing has been erected around the structure and a 'For Sale' sign for the castle has been displayed by the roadside. 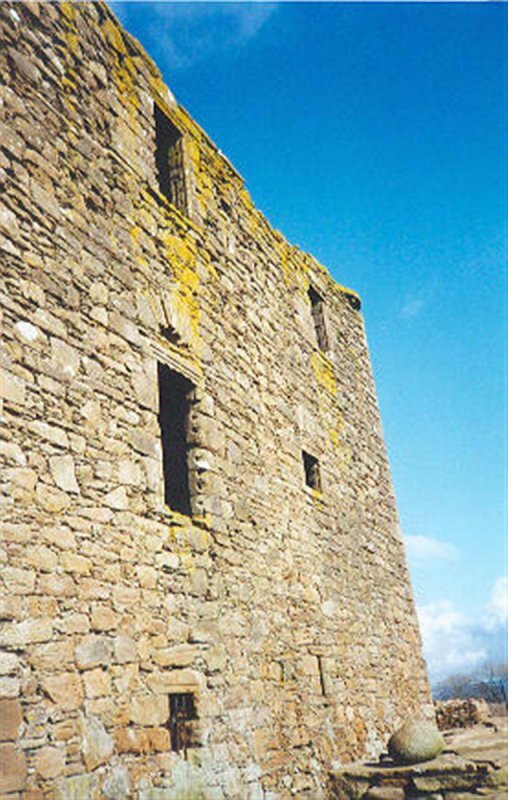 September 2009: Baltersan is included on Historic Scotland‘s Scottish Castle Initiative which is designed to encourage investment in this aspect of Scotland’s built heritage by providing advice on processes and best practices, and by offering exemplars of successful past projects. Further information is available on Historic Scotland‘s website (see Web Addresses Section below). March 2012: Local planners report the building remains at risk. 24 April 2012: External inspection finds no significant change since the previous site visit. 17 September 2014: External inspection finds the building remains in much the same condition as seen previously. 19 July 2017: James Brown, the current owner of Baltersan, contacts BARR to confirm the property remains under marketing for sale. 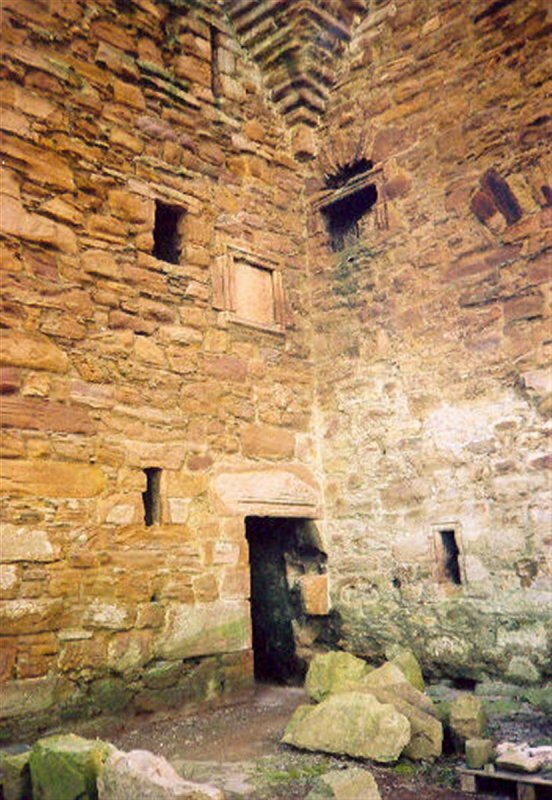 More information on the site can be found at www.yourscottishcastle.com. 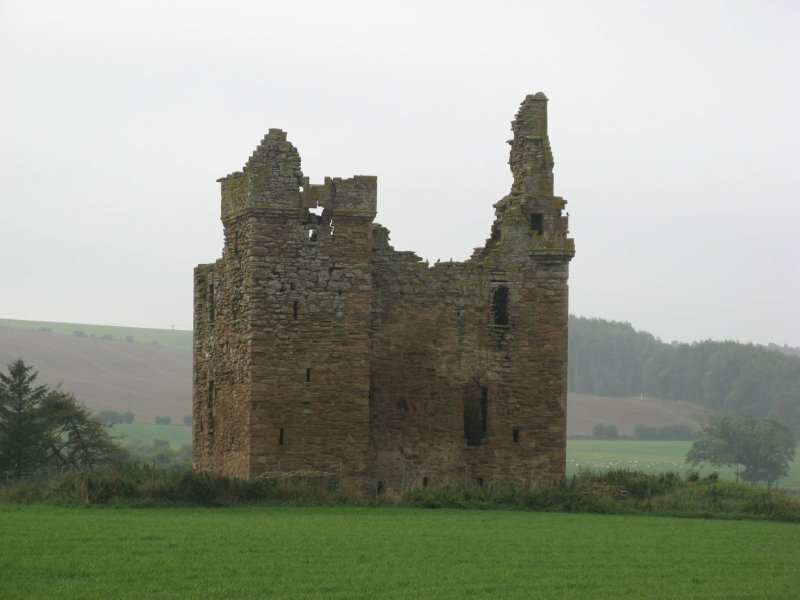 Any interested parties should contact Mr Brown at baltersan.castle@btinternet.com. A full and comprehensive bibliography of texts, newspaper articles, and media coverage is available at the Baltersan website. Bryden (1889); Close (1992), p175; Cuthbertson (1933), pp144, 160; Davis (1991), p166; Lindsay (1986), p69; MacGibbon and Ross (1887-), vol. III, pp503-504; Tranter (1962-1970), vol. III, pp19-20; Discovery and Excavation Scotland, 1996, p97; Proceedings of the Society of Antiquaries of Scotland, 130 (2), 2000, pp725-742.